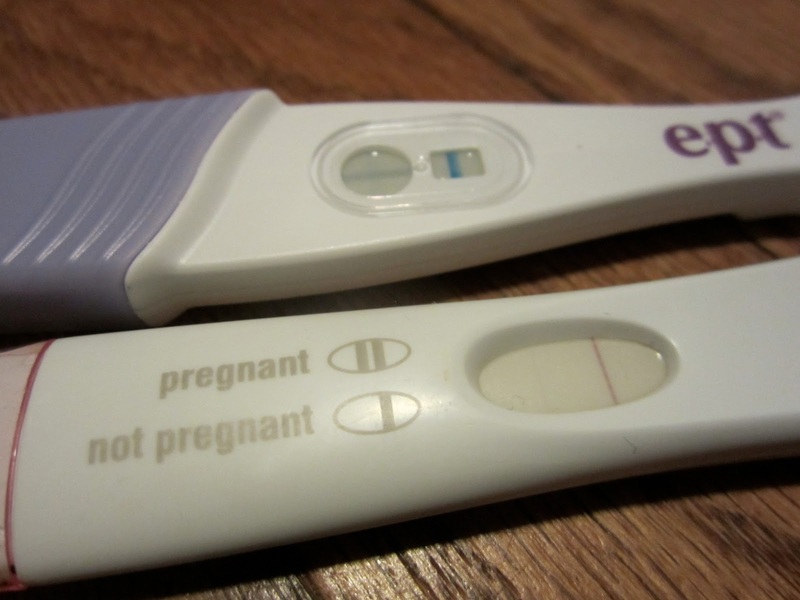 Positive pregnancy test this AM ... mostly feels surreal. I think I'm more nervous this time around since I know what to expect. Josh's response was a big grin and a comment about hoping it "stays". That made me kind of nervous too. My prayer is for the little life to continue to grow healthy and strong and for me to have enough energy and resources to be a pregnant and a mommy. Lord please guide, strengthen, and give me peace. Faint lines, but still there. To be perfectly honest, it's pretty hard to see how God answered these requests for a healthy baby with such a resounding and final no. It feels cruel, almost, seeing those requests in retrospect. But I know God is not cruel. when all your dreams unravel at the seam. It’s hard to simply wait until it’s all made plain. He who holds us in His hands, has no problems only plans. He who has control of all, sees the smallest sparrow fall. but works in all things, in great and small things, for His own glory, and our best good. and troubles multiply so that we ache inside. it’s hard to trust and just be still, it’s hard to simply wait until it’s all made plain. What a wonderful hymn. It really says it all. I'm sure it is a shock to you (like a breathless punch in the gut, perhaps) to look back and notice how much your heart has been shaped in the past year. It is hard to rest and know the reasons why we believe that God is good in the midst of the storms. Be encouraged though, and cling to the Truth. You have lost so much. Praying for you always as you heal. Thank you Darla. It is strange to look back, but good. Thank you for your prayers. [Previous comment had typo] I think 2012 taught/reminded a lot of us family members that life is truly and mostly a war. If we think life is mostly a delightful journey of some kind, then we will probably feel surprised and short-changed when bad things happen. But if life is mostly a war, then tears, pain, death, and deprivation are "normal." Until our side finally wins, we have USO shows, letters from home, talks with buddies, and heroic moments. Still, the journey of war is never mostly delightful. So amazed by you Sarah. Through your suffering you have become a true vessel of God's love. I really have missed you in Bible Study, as your insights are deep looks into the heart of the Lord who is sustaining you each day. You are a very special mother to Evie and she would also be honored by your sweet testimony. Thank you for being so open with all of us. I love you. You are a wonderful light, Sarah! It's so beautiful to see God in your heart even when it's so tough. You are doing an amazing job, and I know that God is using your story. Thank you Sarah. It's certainly not easy though but I am grateful God is using Evie's story for good. wow, sarah. I am inspired by your faith, with tears in my eyes. The part of the hymn that says "He who has control of all, sees the smallest sparrow fall", strikes a deep chord in my heart. My Ezra was one of the smallest sparrows. It seems harsh and comforting all at the same time. I am feeling all of that with you now. We have to cling to what we know to be true of God, not what we feel. praying for you, along with myself.